THE WRITING BUDDHA - Opinions | Books | Movies: 1300* BLOGS in 6 YEARS with Lakhs of You!!! 1300* BLOGS in 6 YEARS with Lakhs of You!!! Day by day, week by week, month by month, year by year- my blog have completed 6 years. I wrote my first post on 31st July, 2009. My Graduation college was about to get started after 3 days. Who knew that a small craze of writing blog would continue for so long. It has been 6 years since then. I have completed my Graduation. I have also completed my 3 years Post Graduation. A 12th Pass has become a Master of Computer Application. Now when I write my 1300th BLOG POST on the same day, 31st July but now, in 2015, I am about to start my job after 3 days. How time changes, how a person grows up, how a person sees different phases in life- This Blog has made me realize and experience it all. I am scared as I'm not a student any more. I am about to be paid by an organization after few days for committing myself towards their projects. I do not know how I would make time to think about what I want to write, discuss on my blog and share with my readers. But I am glad that the journey till now has been one of the best experiences of my life and I hope I have touched heart of few of my readers. When I started, I didn't know where the blog would head towards. I just started writing because they say, writing makes a man stronger just as reading does. With writing, I started reading. And I find myself immensely stronger today. I do not need people around me. I find myself happy and peaceful between Books and Blogs. This is my meditation. This is my yoga. This is my exercise. I have managed to connect with my readers by writing a Blog Post every 1.69 days. This is known to be a good stat considering the rate at which Bloggers generally update their portal. Many of you might raise fingers on my posts. But I am okay with it. I know my intention towards every post I have written. It has not been to increment the counter but to really touch the nerves of the society I live in, to make a non-reader order his first book online or to make a debut author little known in my small social network by reviewing his book. I have also monetized this medium but the integrity still stays. I am still confident that no one can raise his finger and say that I have cheated anyone through this medium. I have never advocated anything that's wrong intentionally. I write because I believe in few things. I write to make others understand why I believe in those things. It's totally your choice to go with my opinion or reject it. That's the democratic way of doing things in public. Isn't it? 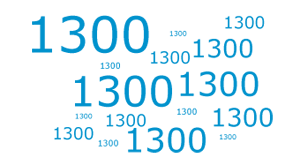 This has been a great week for me considering which I scheduled my 1300th BLOG POST. The Blog completes its 6th year today as I mentioned above. I have become a Certified Professional Software Tester today itself. I got my passport 2 days back. On the same day, I got selected in an IT firm as a Software Tester. This is going to be my first-ever job in life. And who does not dream to be a part of IT industry? A dream has come true. Also, today is Guru Pournima and no day can ever be better than this to do a good work. I do not know how but this is a co-incidence that I started writing on the same day when a great legend writer named Shri Munshi Premchandji was born. People often complain that I write my thoughts less but promote movies and books through my reviews in every other post that I update these days. I understand your frustration. But as I said, I have certain intentions which compel me to take this blog forward in a certain way. I do not have any mission or vision for this space. I just decide how I want my Blog to be featured in a particular time frame and I accordingly prepare myself for it. When I see that what I expect has started showing results, I continue it but if I feel that my thought of connecting with people through certain topics have failed, I change the template that I have been following. I find many non-readers telling me how they purchased their first book after reading a book review here. I find many movie-lovers saving their bucks through my movie reviews. And I am liking this. The moment I will realize that my posts aren't working in the stipulated direction through reviews, I will stop this immediately and may be I would start sharing yogasanas that has benefited me in recent weeks. Haha! As I said, I do not have any vision for this blog. I will write anything for a small period and switch over to the next. Every person gets educated so that he can gain knowledge in a particular field and then impart and implement the same when he gets job. But the moment education ends, joblessness creates stress which leads to a whole personality issue. The small chances that one has of securing a job vacancy also disappears. In India, freshers are treated like a tissue. Use and throw them. But the condition is getting worst day by day. Now, they are treated like waste of a process which doesn't even deserves to be used. Somehow, I have secured a job and through this landmark post, I want wishes of everyone. I wish I do well in this part of life as well and grow well in my career. And it is not possible until I have the same readers who always prayed for me during my academic exams. :-) Though I have lost the tag of "jobless" very easily but I am very conscious about it. I may not be able to continue blogging with the same frequency but remember, whenever it will be possible, I will be back in the same way you like reading my words. Let's celebrate 13th Century of this medium along with a personal achievement of mine. My love for all of you who love reading my blog. How I spent my hours with Dr. APJ ABDUL KALAM!!! !